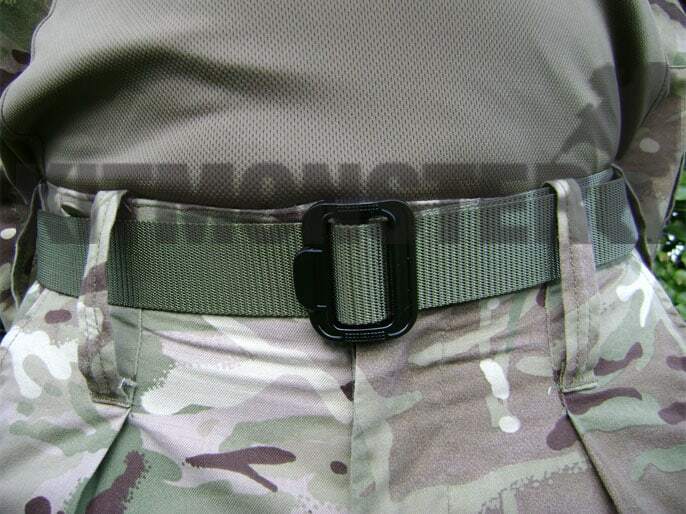 Simple nylon webbing trouser belt in Olive Green. 4.5cm wide with lightweight 3 bar metal buckle. Strong but soft and very comfortable to wear under webbing or body armour. One size only, adjustable up to a maximum waist size of 46". Heat cut live end to stop fraying. Also available in Coyote Tan or Black, please see separate listings.